Indie Retro News: Hot off the Press : EA has announced Command & Conquer: Tiberian Dawn & Red Alert Remasters! Hot off the Press : EA has announced Command & Conquer: Tiberian Dawn & Red Alert Remasters! We've certainly had our fair share of Command and Conquer news on this site, especially featuring top quality standalones such as Twisted Insurrection and The Dawn of the Tiberium Age. But this latest news goes even further! As just moments ago we found out that EA with partnership with Petroglyh, will be releasing remasters of both Command & Conquer: Tiberian Dawn and Command & Conquer Red Alert. With Covert Ops, Counterstrike, and Aftermath bundle into one remastered collection! But if that wasn't enough to get your strategy skills tingling, they have also mentioned in partnership with Lemon Sky Studios, you'll be playing these fantastic games in glorious 4K, without any microtransactions as their wish to give the fans what they had been asking for. Oh and yes, as quoted " Petroglyph has many former Westwood employees and is a perfect fit for bringing the original Command & Conquer games back to life"
“It was over 25 years ago when Brett Sperry and I (at Westwood Studios) worked to create a game that mixed together elements of Populous, Civilization, Herzog Zwei, and Military Madness games. Brett Sperry was visionary and I was lead programmer and designer. The result was Dune II. The first game of a new genre — Real-Time Strategy. 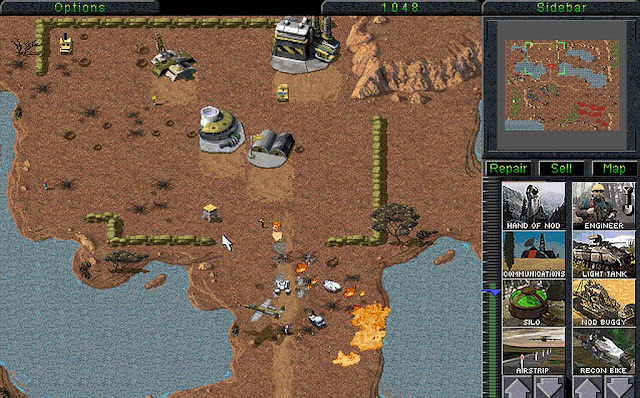 The subsequent game, Command & Conquer (C&C), is where the RTS genre really took off. It combined video recorded actors, rendered 3D video sequences, alternate story endings, an enigmatic villain (Kane), free multiplayer for your friend (only 1 CD was required to play and the game came with 2 CDs), context-sensitive mouse control, and two unique factions that didn’t play by the same rules. C&C didn’t turn out as we originally envisioned. I had initially designed the game to be set in a fantasy world with three factions — humans, wizards, magical beasts. Some months into development, Brett Sperry decided to redirect the game toward modern military for two main reasons. The gulf war was in the news so this was more relatable to gamers at the time, and also because we believed fantasy was too niche. I saw this new direction for C&C as being closer to turning my childhood experiences of playing with plastic soldiers in a sandbox into “reality” so to speak. Thus Command & Conquer Tiberian Dawn was born. The positive reaction to the game was intense. C&C was the right kind of game that arrived at the right time. We should have seen the clues that C&C would be a success. The QA department would have difficulty testing for bugs since they could not resist losing focus to play for fun and try to win against each other instead of the more “boring” bug-testing they were actually assigned. The rest of the studio would play the game in the late afternoon and into the early evening. I would take careful notes and then make changes overnight to start the process over again the next day. As soon as C&C was released, we immediately started working on an expansion pack that would pivot to alternate history with a post WW II feel. We kept adding more units, backstory twists (w/ Kane), more elaborate interstitial video sequences (still campy though), and new gameplay features. It became so massive an expansion that we just had to turn it into a stand-alone game in its own right — C&C: Red Alert. Players seemed to love this game just as much as the original C&C!